Taken from streets of Funabashi, Chiba days after March 11 earthquake. 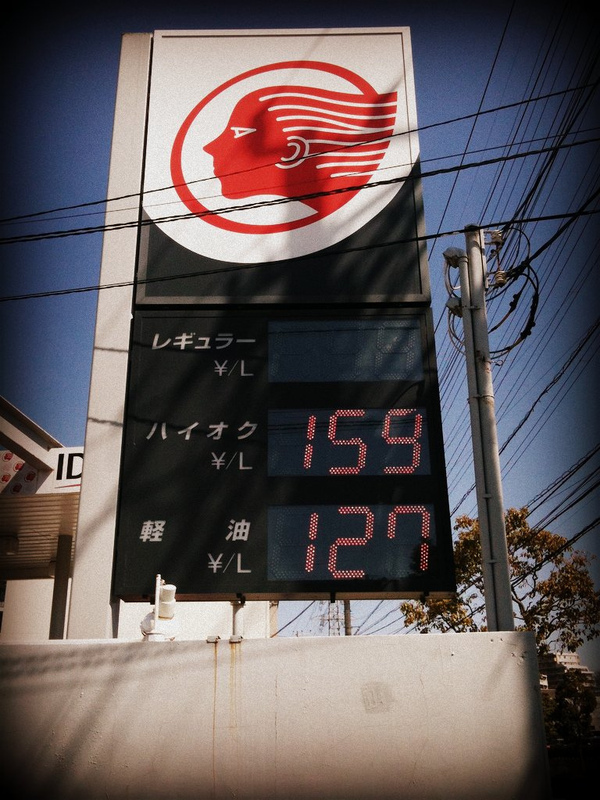 Only gas available at Idemitsu was high octane at 159 yen per liter. About $6 (US) a gallon! It has been a long lasting two and half weeks since that fateful day of March 11. Even now Japan is beginning to experience the economic backlash from the aftermath of that day. As you will see in the video below, there was a gasoline shock that occurred after the earthquake and lasted almost two weeks in some of the areas where I am located (the Chiba Prefecture). This shortage of gasoline caused a chain reaction preventing the shipment of stock and supplies to stores around the eastern area of Japan. It left millions impacted by the mere fact that they had to wait in line for hours in most cases to fill their tanks just a little. The limit being about 2 to 5 gallons per car in some cases. This video was taken 10 days after the earthquake. And in fact the line actually went back about a mile from when I cut. Looking at the even bigger picture it becomes apparent that Japan`s economy, which can only thrive on its domestic commericial cosumption, is slowing down rapidly. The combination of gas shortages and blackouts have slowed the transfer of goods leaving retailers strained to supply with limited hours and resources and forced consumers into scarcity panic mode. It seems every other day, a new item on the shelf becomes scarce and cannot be found anywhere until it shows up a week later like nothing ever happened. There are many other negative impacts on the economy from March 11 to also be considered, but these two hit at the heart of the daily rhythm of life in Japan. Power and gasoline are two things that are easily taken for granted and their convenience allows for a continuous flow for Japan`s economy. Currently in designated blackout areas most shops, restuarants, and retailers, etc. cannot remain open 24 hours a day as many did before. They have limited hours of business and limited supplies to work with. It used to be in Japan that you could get anything you want whenever you wanted, but now that is not the case in the East. It is still not clear how long power outages will continue or if gas shortages will continue. 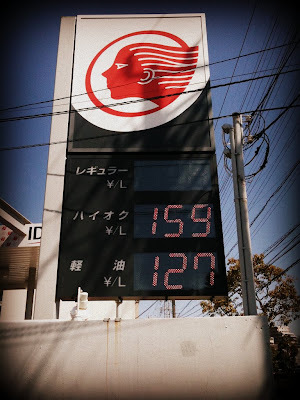 At the moment, gasoline is available at a very high price, but threatens to become scarce again if the conditions do not significantly improve in Tohoku and also in Fukushima`s nuclear situation. Wow, that was a lot of cars lining up for gas. Amazing to see what life is like in Japan at the moment - really makes one think about all the things one takes for granted. Thanks for all the informative posts and updates.